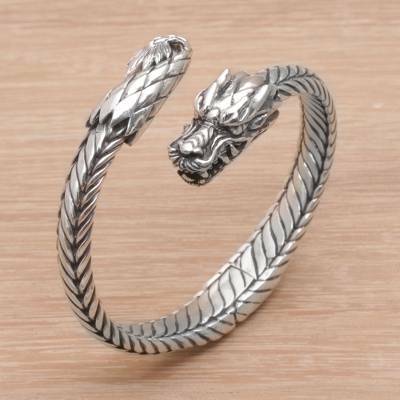 A fearsome-looking dragon wraps around the wrist in this bracelet from Henry Anthony Sanny. Handcrafted in Indonesia from sterling silver, the bracelet will add an exotic touch to your jewelry collection. This bracelet is really incredible! It is beautifully made and gorgeous to wear. It is a statement piece, and worth every penny. It is weighty , but still comfortable. You will receive many compliments when you wear this fierce dragon.